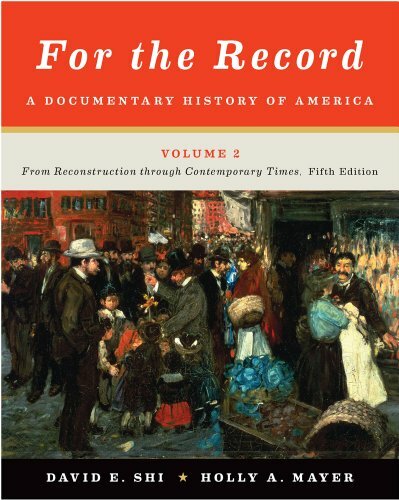 The reader features 250 primary source documents, both textual and visual, drawn from a vast range of government documents, newspapers, speeches, letters, novels, and images. Twenty-five updated selections offer strengthened coverage of African American history and reflect the latest structure of America: A Narrative History, Ninth Edition. David Emory Shi (Ph.D., University of Virginia) is president emeritus and professor emeritus of history at Furman University in Greenville, South Carolina. He is the author of several books focusing on American cultural history, including the award-winning The Simple Life: Plain Living and High Thinking in American Culture and Facing Facts: Realism in American Thought and Culture, 1850-1920.